The 2018 iOS 12 is added with more new features, among which the abandonment of 32-bit apps is strongly associated to your iPhone apps. If you just happen to update to iOS 12 or upgrade to iPhone XR/XS/X/8/Plus/X/7s/7s Plus, then you have no choice but to check whether your iPhone has some 32-bit apps or not. If yes, you need to find and download other 64-bit free iOS 12 apps that are equal to or even better than the previous ones. Providing you can't make your decision right now because of the confusing product introductions, you're advised to spend 2 mins here to read on the below post with a detailed introduction on best free iOS 12 apps for iPhone XR/XS/8/Plus/X/7s/7/6s/6/SE/5s from five categories: free iOS 12 apps for multimedia and entertainment, educational apps, sports apps, social networking apps and game apps. iPhone Music Manager: create/edit/delete music, import/export iPhone music. iPhone Ringtone Maker: make any song iPhone ringtone, add ringtones to iPhone. iTunes DRM Removal: remove DRM from iTunes purchases, convert M4V to MP4. Transfer videos, music, images,iTunes files, iBooks, etc. between iOS 12 and PC. Generally, the largest group of free iOS 12 apps for iPhone XR/XS/X/8/7s/7/6s is the multimedia and entertainment apps. Among them, you might have downloaded several free iPhone XR/XS apps to listen to free music, couple of photo editing apps, a dozen free movie apps for iOS 12 iPhone HD movie & TV shows enjoyment, etc. Yet, considering your iOS 12 iPhone 6/5s/SE/6s/7/8/X/XS have limited storage, you can't just download too many iOS 12 apps without selection. To better manage your iPhone storage, you'd better make some choices and just download the must-have free apps for iOS 12 iPhone XS/X/8/7s/7/6s/6/Plus/SE/5s. Below recommends you with some amazing multimedia entertainment apps for iOS 12/11.3/11.2/11.1, with a hope to maximize your multimedia enjoyment on iOS 12/11 iPhone. 1. Spotify now has over 100M users and twice as many paid subscribers as Apple Music. 2. Spotify offers you with multiple tools to easily find music you like. For instance, playlists like Release Radar, New Music Friday; featured series Secret Genius and Discover Weekly, etc. 3. Same fees, different experiences. Subscription fees are both $9.99 per month. In spotify, you can free listen to and download music to iPhone XR/XS/8 for offline listening even after your subscription lapses while in Apple Music you just free listen to music and download music to iPhone during the subscription period. Once the subscription is expired, you can't play "downloaded" Apple Music on iPhone (music is rented, not bought). If you'd like to free listen to music on radio, iHeartRadio is a great option. You can freely pick out any type of music radio station to suit your taste, irrespective of Top 40 & Pop, Country, Hip Hop and R&B, Jazz or Rock. What's also special to me is that it can allow you to create your own radio station from millions of music. Actually, it's no only a free iOS 12 music app for iPhone XS/XR, but also a social networking platform, where you can also share news, podcast, events, photos, etc. to your group members or fans. 1. 100% free of charge. Some iPhone ringtone maker apps claim themselves as freeware. Well, when you download from App Store and open it, you will find they're tricky, in-app purchase. 2. It's simple to use, intuitive interface. 3. It allows you to easily control the ringtone start time and end time and has "Fade in/out" effects available. Download this free iOS 12 movie app for iPhone 6/6s/7/7s/8/Plus/X to stream free movies online and watch free TV shows. Its user-friendly interface also offers you with genre categories like comedy, drama, action, fandom, etc. for you to search for. 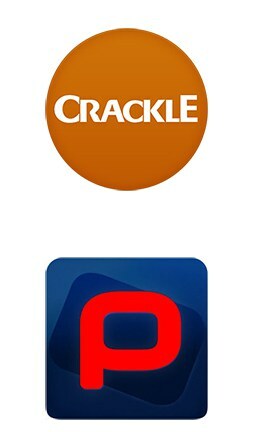 When you open a free top Hollywood movie on Crackle, you'll be greeted with an advertisement (it's free, so it needs commercial ads to run its business) and later successively interrupted by others ads during movie playback, about 9 ads for 90-min length movie. Though the annoying ads might be too many for you, its video quality seems good and the no constant buffering appears to bother you (as long as your network connection is stable and smooth). If you wanna download movies to iPhone XS/XR/8/X/7s/7/6s/6/Plus/SE/5s, you need to look somewhere else. Wait a second! Before you download this free iPhone movie app on iOS 12 device, you need to know you can't download this app if you're under 17 years old. For the grown-up, you can download and watch hundreds and hundreds of free movies on iOS 12 iPhone iPad. Plus, it keeps updating its movie library everyday, at least one new movie added. On top of these, how about user experience? Well, firstly, movie quality is great, almost the same high quality to DVD version. Secondly, it has the similar small nit with the Crackle, pop-up ads during movie playback. Fortuantely, the ads are usually short, about 15-20 seconds each. Lastly, there is no concrete answer to the movie buffering issue, for if your Wi-Fi or network speed is fast enough, you won't be annoyed by this issue. If not, just pause the movie to buffer. VidLab is a free iPhone video & movie making app for iOS 12 device. It lets you easily create amazing, fun videos & movies by adding text, artwork, animation, music, video, sound effects, voice memo, overlays, voice-overs and more to your videos. And it also plays the role of a photo slideshow maker to allow you to import photos to video and turn photos into a photo slideshow with any music you like. Download this movie making app to have a director experience. Do you wanna turn your iPhone photo into a painting or Art? Are you eager to print your "oil painting" for hanging on your room without costing much? Or just wanna make photo painting for new iPhone XR/XS Max wallpaper? 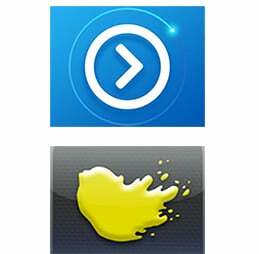 You just need a free picture editing app like Glaze. This free iOS 12 app will turn your iOS 12 iPhone photos into paintings with your unique style. You can choose the popular style from numerous choices and use one effect or mix several effects. Most times, I choose oil painting and resize photo to fit my iPhone. The output picture is having a bright and amazing new look! If you download some free iOS 12 apps from the above recommendations, you can eventually download any music to your iPhone, stream and save more HD movies, take more custom photos, make unique ringtones, etc. Followed by a related problem: your iPhone almost full becasue of tons of multimedia files. How to free up space on iPhone (iPhone XR/XS/X/8/Plus/7s/7/6s/6/SE/5s)? 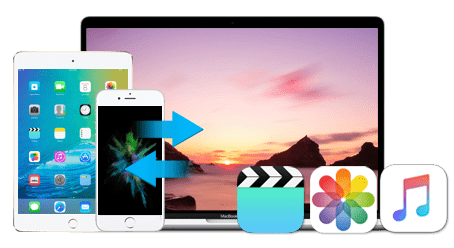 You need MacX MediaTrans to help you bulk transfer and backup 4K videos, high quality movies, free music, iTunes purchases, ringtones, iBooks, podcast, voice memo, etc. from iPhone X/8/Plus/7/6s/6/SE/5s to MacBook Pro/Air, iMac, etc. Thus, you can eventually clean up unneccessary yet large-sized files from iPhone to speed up iOS 12 on iPhone for other tasks. We know the AI era is coming. And in the upcoming artificial intelligence society, one thing we human beings must keep going the whole life is "live and learn". We can't lose to AI robots or some AI stuff not even in physical bodies. And to keep learning, the effective way is to use our 24/7 carry-on iPhone. Using iPhone to study, you need to download and install some free iOS 12 educational apps on your iPhone XS/XR/X/8/Plus/7s/7/6s/6/SE/5s. Here shares with you some useful free apps. Allow any iOS 12 iPhone user to learn from the world's largest collection of free education content, including public courses and collections from leading schools, universities, museums, etc. Plus, it also lets instructors plan classes, add teaching materials, answer questions, give feedbacks in 1:1 chat, etc. Free iOS 12 app to learn up to 23 languages like Spanish, French, German, Italian, Portuguese, Russian, English, etc. Google Classroom makes teaching and learning not only limited in school. It lets learners and instructors connect to create an opportunity to learn knowledge without time or space limits. Save time and paper. This best free iOS 12 iPhone 8 app is the veritable No.1 to solve math problems, no matter the basic Math, Pre-Algebra, Algebra, or Statistics, Finite Math. It can handle whatever mathematic questions you feed it. TED Talks you must have already downloaded. If not, download TED first. It will expand your world with over 2K free videos from world's most outstanding celebrities. And you can freely select the subtitle you need from 100+ languages. Life lies in movement. We can't get products if machine doesn't move; we will degenerate if we choose to be still. So to release passion and energy from your body, you do some sports. Actually, it's hard for you to carve out 1 or 2 hours to go to the fitness room nearby or far. The most effective solution to do some exercises is to take full use of your fragmented time like the spare time after lunch, 20-min teatime during work, etc. And if you can't do fitness sports without coach, you can just download some free iPhone sports apps to guide you to accomplish fitness, cuz they are professional, too. Which sports are you good at, basketball, rugby or football? You can find the latest news, scores, highlights, videos, schedules, teams about your favorite sports on ESPN. It covers NBA, NFL, MLB, NCAAF, Soccer, NHL, Golf, WWE, Racing, etc. up to 32 types of sports. If it's not convenient for you to watch NBA playoff, NFL matches and more sports videos, you can choose the ESPN Radio to listen to sports commentary. 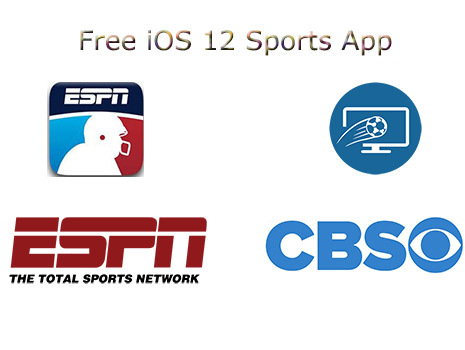 Similar to the above iOS 12 free app for sports, this sports app also covers multiple trending sports like NFL, MLB, NBA, Golf, Boxing, Tennis, etc. The biggest difference is that there are lots of commercial ads from bestbuy like laptops. Plus, this iPhone sports app also has a built-in shop to let you buy sports T-shirt, cap, backpacks, etc. To some sports fans, they might like this. As for others, they might feel disgusted with too many commercial advertisements. Man is a highly social animal. In the ancient time, our ancestors go out together to hunt. Nowadays, we modern people come together to work on a project, play basketball, learn skills, eat dinner or talk about the gossip. No matter which activity, we need friends or companions. Unlike the traditional way, we actually don't have to go out to make friends. In the network information times, just download and install some free iOS 12 social media apps on your iPhone XS/XR/X/8/Plus/7s/7/6s/6/SE/5s. That's enough. Then you can begin to do social group activities anytime anywhere you like. Needless to further explain, Facebook is world famous to all of you guys. It's the first-ranked social networking app for the American to do online social communication. After you register and log into FaceBook, you can eventually add anyone as your friends, like your favorite NBA player LeBron James, Stephen Curry, Kawhi Leonard, Game of Throne Kit Harington, Emilia Clarke, or multimedia software developer MacXDVD official FB account to timely get the giveaway info, etc. Of course, you can also give "like" to their posts or photos and share their interesting posts to your Facebook page. 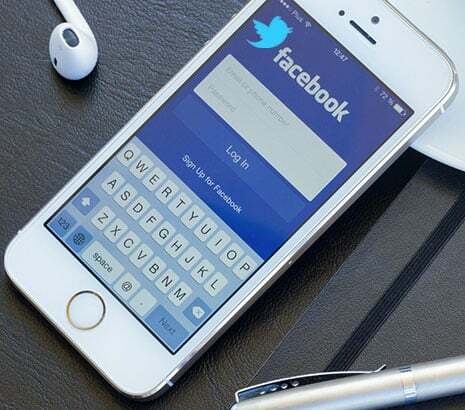 Twitter is a social media free app for iOS 12 iPhone 8/Plus users to share your photos, messages, link in a microblog style. You can't type too many words (within 140 characters) or share a long URL. Instead, you need to be concise and comprehensive. Similar to Facebook, you're also able to search any celebrity/official account and pay close attention to their updates, like Taylor Swift says she's gonna release her new album), Apple News publishes a tweet about Samsung Galaxy Note 8 returns, NBA confirms Kyrie Irving eventually heads to Boston Celtics, etc. Still use iMessage on iPhone 8/Plus? You need to catch up the trending. Now the young generation prefers WhatsApp to iMessage to text message, call and even video chat. This free iOS 12 app for iPhone 7/7s/8/Plus/X is also superior to the traditional or old-fashioned communication ways because it doesn't need you to register an account. Just use your cellphone number to contact your friends and family members. Users always take a comparison between Snapchat and Instagram. And they find the biggest difference lies in user group. If we say Instagram is suitable for all age ranges, well, Snapchat might be more popular in younger group. Why say so? Cuz the younger generation cares more about their privacy. Sometimes, they share photos on the social media platform just for fun or catching attention. Actually, they don't wanna keep these photos forever. The young tends to take some funny, wacky or even explicit pictures. They might post these photos just on the spur of the moment. 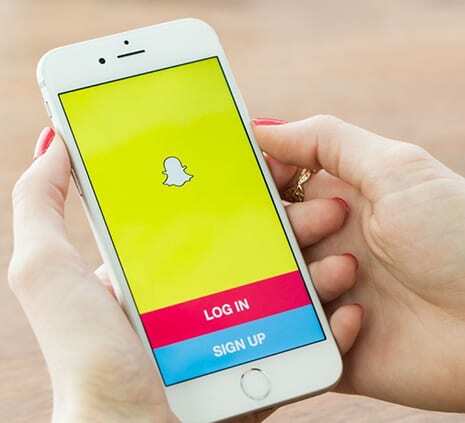 Snapchat exactly meets their needs: photos and messages are only available for a short time, then they auto disappear. The last but not least, you definitely love free iOS 12 game apps so as to play games on iPhone XC/XS/X/8/Plus to relax yourself after a long-time working or learning. Well, if you're a senior game player, you might just skip this part (the game apps you might already know). If you're a newbie, this part is the key to help you open the door of interesting mobile games. Please keep in mind that you should properly arrange your time. Do not be obsessed about free iOS 12 iPhone games. This is a free iOS 12 app about augmented reality shooting game for iPhone. Of course, the grim-looking zombie is your shooting target. In the past, you can only look at the horrible zombie in the Hollywood horror movies. 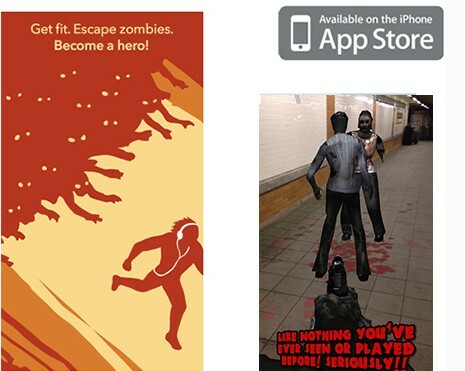 Now, the zombie will suddenly pop up in front of you when you walk through your house, school or parking lot. Sometimes, you can't even handle these, cuz you're sieged by a group of blooding zombies. So glad that now everybody can be the hunter to discover the mysterious treasure, not just imagine how could you do if you're in a forest to find treasure clues when watching a treasure-themed movie. Wanna have a try? Download and install this free iPhone app and then you can get the instructions of where to look for a geocache via AR app. You can find the geocache or hide a geocache for next geocachers. Many a game player says this AR game app is much better than virtual reality games. If you wanna record gameplay tutorial video to share skills with others, you can try MacX Video Converter Pro, a top quality video game recorder to record video gameplay on macOS all in real-time, no lagging/flashes/distortion at all. And its built-in quality and frame rate settings allow you to record game video at 30 fps, 24fps, 15fps, etc. via slide bar and High/Medium/Low quality options at your disposal. You can also use it to convert your HD gameplay video to YouTube/Facebook supported video format and compress HD game video file size for easier & faster uploading/E-mailing. Top iPhone manager app can work for you with multiple roles: iPhone file transfer app (transfer iPhone music, photos, videos, ringtones, etc. to Mac/PC); iPhone music manager (create/edit/delete music songs), iTunes DRM removal software to decrypt iTunes encrypted files; iPhone files converter to convert any video and audio to iPhone supported formats, like MKV, AVI, HEVC, WMA, FLAC, CD, etc.